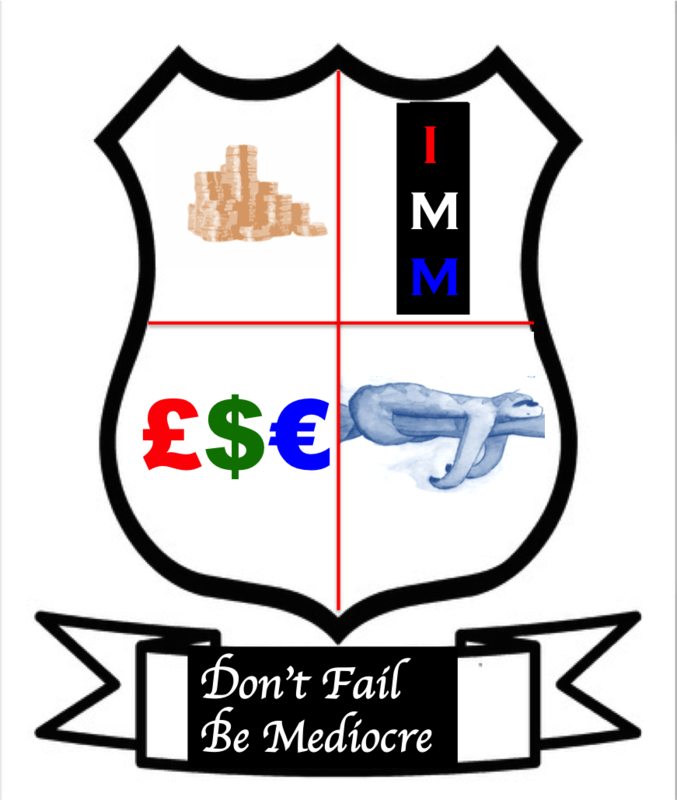 The Institute for Mediocre Management was founded to promote the values of Mediocrity, Self-Aggrandizement and Cant. We firmly believe that the old business values of Clarity, Honesty and Respect are outdated concepts in the 21st Century and we should now; Aim low, Reap the rewards. Succeed at any cost and Enjoy life at others expense. By following these key principles and becoming an A.R.S.E has seen our members thrive in the U.K’s top Mediocre companies with our pay rates increasing disproportionately to our companies’ success. A recent report showed that Executive pay has grown from 60 times that of the average worker to almost 180 times since the 1990s with the pay of the average FTSE 100 chief executive increased from £4.1m to £4.7m last year. But we’re worth it. Here at the IMM we believe that an hourly pay rate of £1,000 is deserved and although we now earn in 2.5 days what the average colleague does in a year we still need to raise our game and hit the 1 day’s pay = 1 year’s pay target. Our current advised policy, which is the most tax efficient, is to tie your remuneration to stock options based on profits. Profits are more easily generated by cutting costs than raising revenues so IMM members look to reduce workers’ pay and also to fire the oiks downsize for better margins. For that some should rule and others be ruled is a thing not only necessary, but expedient; from the hour of their birth, some are marked out for subjection, others for rule. The behaviours required at the club reflect the high esteem that we all hold about ourselves. You will be expected to be pompous, high handed and curt with all club employees and any other lower orders. In the member’s lounge, a relaxing atmosphere is created by ensuring members do not concerns themselves with the travails of the little people but promote ideas that benefit themselves or other members, that is the elite. We discourage the discussion of politics (there is only one Party after all) and religion (we’re all Deities to the huddled masses anyway). Bragging, Boasting and One-upmanship are all perfectly acceptable of course. There is an annual competition to find the richest and the poorest member and the latter is then traditionally mocked, humiliated and then blackballed. Self-depreciating humour is not acceptable at any time. As you can see our aims are clear and our entry standards are high. Many of the senior executives from the UK’s leading mediocre companies are members. Most have seen their financial wealth increase dramatically since the recession as they reduced pay and staff numbers and took advantage of the billions pumped in the economy to invest in their wealth creation schemes whilst protecting the Masters of the Universe who created the mess in the first place. So although the Banking industry must be thanked for inadvertently making us all a lot richer, we are unlikely to be able to have a banker as a member as they are mostly really beyond the pale and would upset our Lady members. You will need two sponsors, one of whom needs to live abroad for tax or legal reasons and the club chairman will then review the application when he gets out of prison next year after an unfortunate misunderstanding with HMRC. Fees: If you have to ask how much then you can’t afford them. Seems like these ideas are embraced by megacorps and megabanks to continue the create economic disenfranchisement for the working class. Thanks visit my blog. You got it brother! Laughed so hard. Thanks a lot for visiting my blog and liking it.